I'm Faith Lapidus. And I'm Steve Ember with EXPLORATIONS in VOA Special English. There are many natural wonders in the United States. Today, we take you to seven man-made wonders in America. 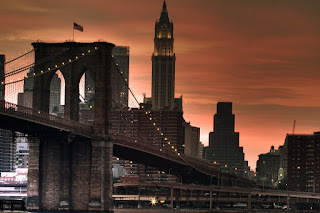 That poem is about our first man-made wonder -- the Brooklyn Bridge in New York City. It extends more than 480 meters over the East River to connect the areas of Brooklyn and Manhattan. 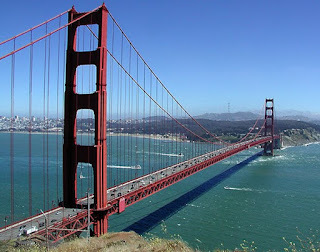 A famous bridge builder David B. Steinman wrote the poem. But he did not build the Brooklyn Bridge. Building began in 1870. It was very dangerous. Few records were kept on such events. But, historians say between 20 and 30 men died as a result of the building project. Some died from falling off the bridge or from being struck by equipment. The Brooklyn Bridge opened on May 24, 1883. At the time, it was the longest suspension bridge in the world. It is still a beautiful structure. The bridge has tens of thousands of suspension wires that spread many meters across and up and down to towers on each side. From a distance the many wires look like the stringed musical instrument called the harp. The center of the Brooklyn Bridge rises almost 40 meters above the East River. It is one of the most famous and beloved New York City landmarks. 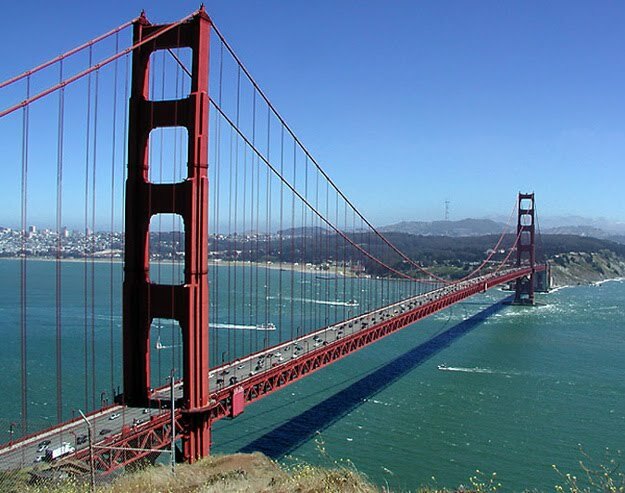 Joseph Strauss was the chief engineer of the Golden Gate Bridge. Building began in 1933. The bridge opened in 1937. It is almost 1,300 meters long. It was the longest suspension bridge in the world for almost 30 years. Then, in 1964, the larger Verrazano Narrows bridge opened in New York City. Our next man-made wonder is as famous a landmark in the Midwest United States as the first two are on the East and West Coasts. 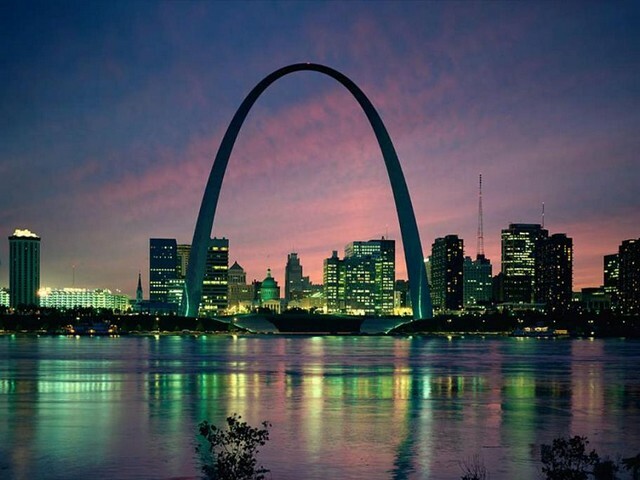 The Gateway Arch in Saint Louis, Missouri is the tallest freestanding monument in the nation. The shiny, steel curve rises to almost 200 meters. Below, the arch is exactly as wide as it is tall. The famous Finnish American building designer, Eero Saarinen, designed the Gateway Arch during a national competition in the late 1940s. However, building did not begin until February, 1963. It was completed in October, 1965. Later a transport system was added to permit people to visit an observation area inside the top of the arch. 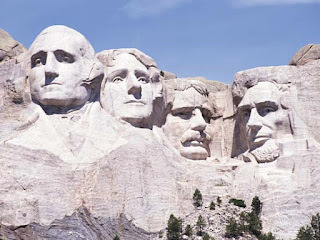 Giant faces of four great American presidents are cut into the rock near the top of Mount Rushmore in the Black Hills. Each face is about 18 meters high. Sculptor Gutzon Borglum was chosen to create the Mount Rushmore memorial. It was completed in 1941, after 14 years. Workers began to build Hoover Dam in 1931. They finished in just five years. More than 20,000 men worked on the project. It was very dangerous. Ninety-six workers were killed. Many others were injured. The Hoover Dam is 221 meters tall. It weighs more than six and one half million tons. At the time, it was the largest and tallest dam in the world. And it was one of the largest producers of electric power ever built. Another man-made wonder of the United States was built long before the nation was established. About 900 years ago, the Ancestral Puebloan people built villages high in the walls of canyons in Mesa Verde, Colorado. 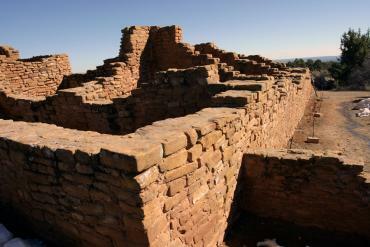 Six hundred cliff dwellings are now part of the Mesa Verde National Park. Our final man-made wonder is in the northwestern city of Seattle, Washington. 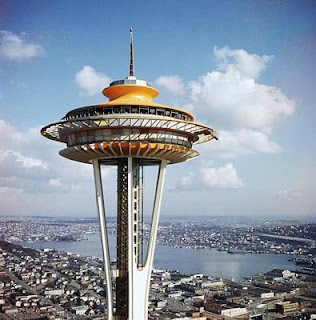 The Space Needle was built as the central structure for the 1962 World's Fair. Edward Carlson designed the 184 meter tall structure. The Space Needle has a wide base on the ground. It is narrow in the middle. On top is a large ring-like structure. The structure was meant to look like a "flying saucer," a vehicle that was popular in science fiction space travel stories. The saucer includes an observation area and eating place. The restaurant slowly turns to provide visitors with a 360 degree view of Seattle. The Space Needle was not very costly. The building project cost about 4,500,000 dollars. It was designed and completed in about a year and opened on the first day of the World's Fair. This program was written and produced by Caty Weaver. I'm Faith Lapidus. And I'm Steve Ember. You can read and listen to this program on our Web site, voaspecialenglish.com. Join us again next week for EXPLORATIONS in VOA Special English. 1. 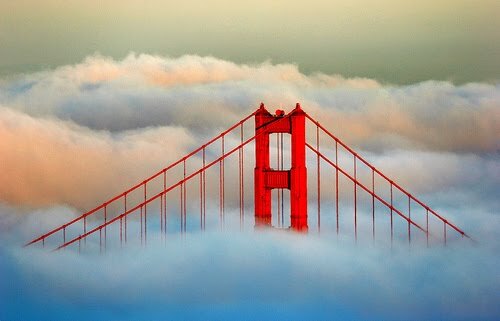 The Golden Gate Bridge was the longest suspension bridge from 1937 until the opening of the _____________________ in 1964. 2. One American man-made wonder of the world was inspired by science fiction stories. It is ________________ . 3. The ___________________ rises above the Mississippi River celebrating the city of Saint Louis and its historical role as "The Gateway to the West". 4. 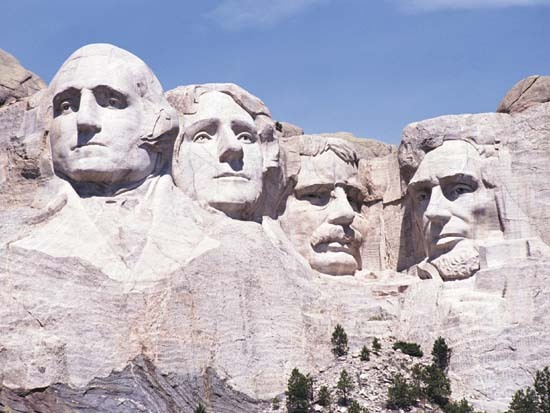 One president not featured in the amazing Mount Rushmore memorial is ____________________ . 5. The Hoover Dam was built in 1931 to control the ________________ and produce electric power. 6. A pressure sickness caused by working deep below the surface of the earth is called _______________ . 7. The oldest American Wonder mentioned in this article is ____________ . 8. Two American Man Made wonders that mention the dangers of construction and resulting deaths are ________________________ . 9. "A bridge of haunting beauty stands, fulfillment of an artist's dream" refers to _______________________ . 10. Theodore Roosevelt was honored at Mount Rushmore because he was important as a ________________________ .